Since May 2017, members of the Montgomery County Sheriff’s Office VICE Unit with the assistance of the Christiansburg Police Department VICE Unit and Montgomery County Commonwealth Attorney’s Office have diligently worked an investigation into the distribution of crystal methamphetamine in Montgomery County. During the month of July 2017 through September 2017, members of the Montgomery County Sheriff’s Office VICE Unit and Christiansburg Police Department conducted multiple controlled purchases of crystal methamphetamine directly from Alexis Bentley, Aaron Hixon, Troy Donaghy, and Jeremy Elliott. During the investigation, deputies found that there was one primary source of the methamphetamine, and the group of people were conspiring together to transport and distribute methamphetamine within Montgomery County. Throughout the investigation, deputies found that Aaron Hixon was supplying Montgomery County and the New River Valley with crystal methamphetamine. After his arrest on unrelated charged on January 9, 2018, deputies were able to ascertain that the majority of the methamphetamine was being transported from Sylvester, Georgia or Albany, Georgia into Montgomery County. A Multi‐jurisdictional grand jury investigation was started in April 2018 and was used through October 26, 2018. 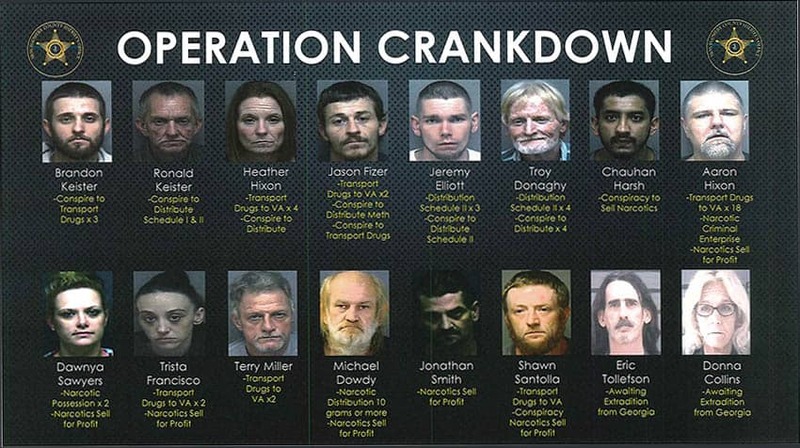 On November 2, 2018, the Montgomery County Sheriff’s Office with the assistance of the US Marshal’s Service and Christiansburg Police Department executed the arrested warrants on 16 of the 19 above listed persons. During the operation in Montgomery County, US Marshal’s in Albany Georgia located and arrested Eric Jon Tollefson and Donna Jean Collins in Albany, Georgia. During the execution of arrest warrants, the US Marshals located 18 total firearms to include (1) stolen firearm, (1) machine gun and over a 1000 rounds of ammunition. Charges are pending in reference to the firearms. 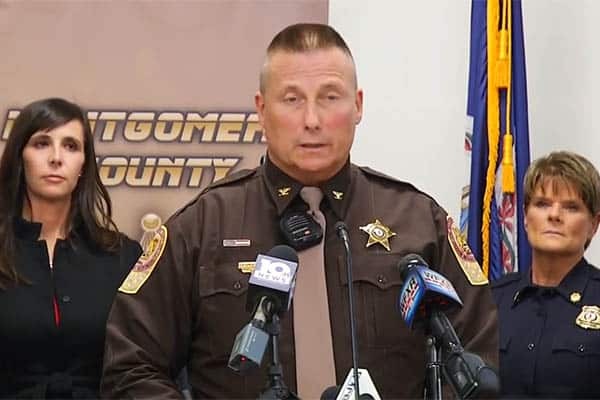 Donna Collins and Eric Tollefson are pending extradition back to Montgomery County for their charges. On November 2, 2018, 16 of the 19 persons were arrested and held without bond at various correctional facilities. Thank you for getting off our streets.